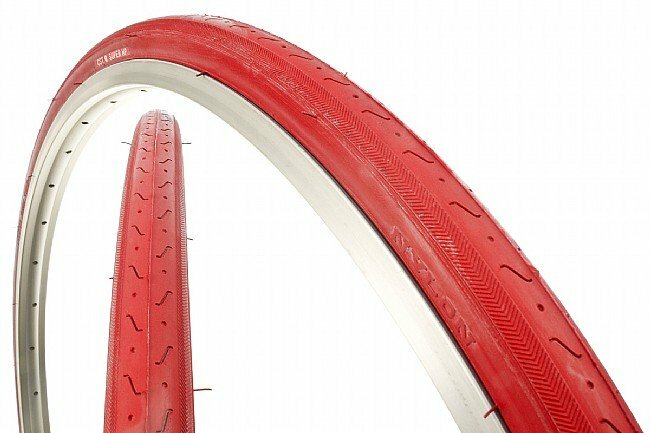 A good basic replacement tire for 27 Inch wheels. 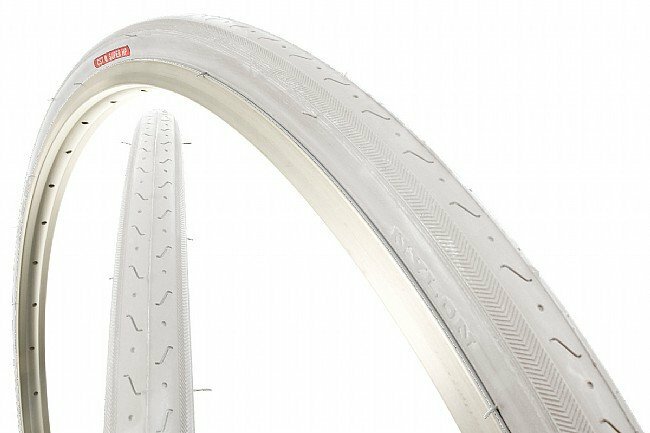 Its inverted tread pattern diverts water while good solid rubber prevents flats. A raised center tread allows speed on straights, while extra tread on the sides provides added confidence in turns. 90 PSI Max. Wire bead. 424 grams. 27 inch in various widths (630 ISO). Various colors. 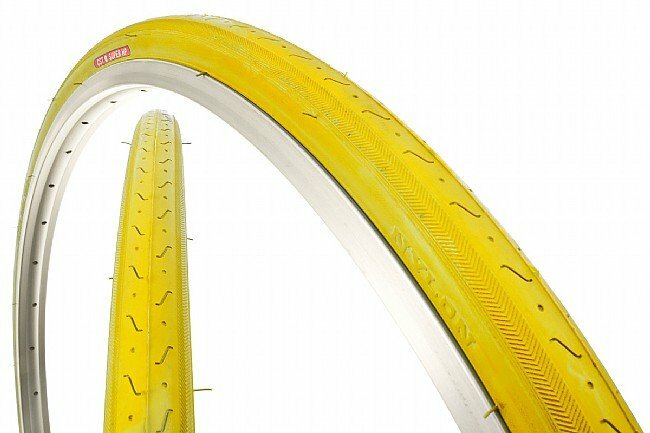 Purchased these to put on a recently purchased 1980s Raleigh for my work commute (10miles one way). They look great and handle well. Good value for the price. Looks good, rolls well, so far, so good. These tires a lower pressure than I had, and 18 wider, but they seem to roll as well as the old ones. I've only used them a couple times, but so far, I'm pleased. Time will tell if they hold up. Nice tire for old school bike. Gives it a cool look with matching bar tape color. Rides good, looks good, no flats so far. Looks great in white on my vintage TREK, shipping was as expected and arrived on time.